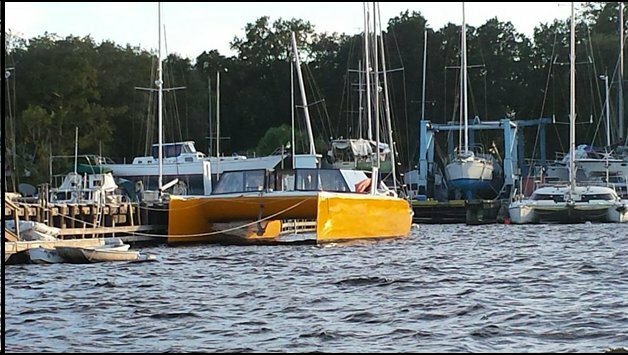 Boat is located in Green Cove Springs Fl.Please text 646-634-8686 (do not call or will not answer) or email oceannavigator12@gmail.com. Price$140K. Trade for an older cat or bluewater monohull considered. -50 Gals Water in 1 Tank (set up for watermaker). 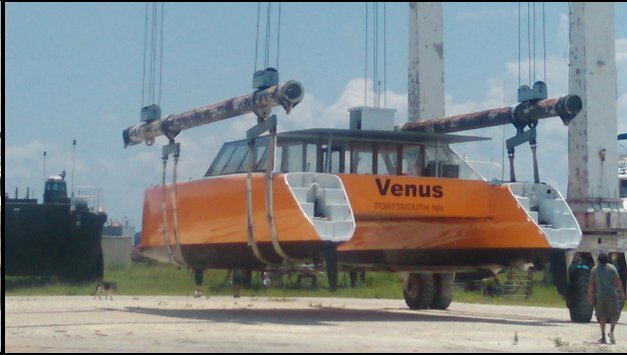 Venus is a 50’ high performance, world cruising catamaran modeled after the legendary Gunboat series catamarans. 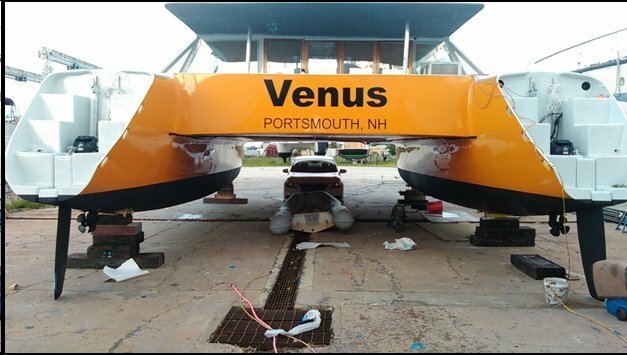 She was built by a team of professional boat builders under direction of a former NASA employee. Nothing was done the cheap way. Everything about this boat was done using the most advanced techniques and the highest quality American materials. 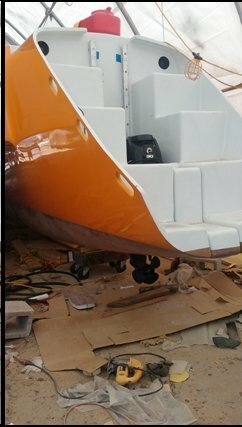 No Chinese or other foreign parts were used and all materials were selected for quality, as the owner wished to use this boat to cruise the world and already had 25 years experience on the water, holding a Masters License. The hulls and connectives were designed using finite element analysis computer stress modeling by Kurt Hughes to provide the lightest weight, strongest design possible. The look and lines at deck level were designed by the owner to more closely approximate the Gunboat series. Hulls and connectives all have continuous unidirectional glass fibers running from bow to stern or across load bearing beams/connectives. 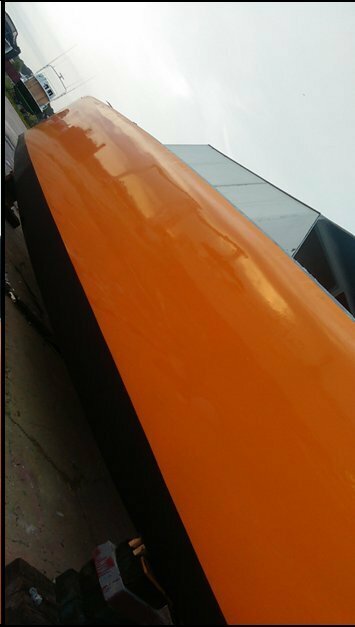 The hulls and beams/connectives were all vacuum resin infused using MAS infusion epoxy. No expense was spared and no shortcuts taken building this state of the art, high quality boat. In fact, Boeing is using the same design and building techniques on its planes now. 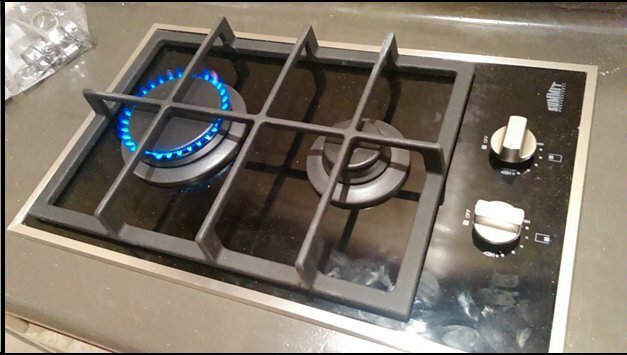 There is nothing of this quality available commercially. Modest accommodations are in a single hull and include a large, functioning galley with refrigerator, freezer, stove, oven, microwave. Also, a temporary full size berth is in the same area. 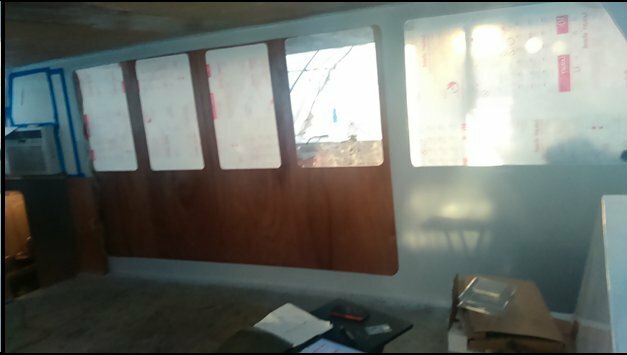 It’s a small area that was designed to allow the owner to live aboard while fitting out the rest of the interior of the boat. All is stick frame and could be knocked out to empty hull in a single day with a hammer. $250K invested to date. 4 Blade, Low Pitch, High Thrust Props - steering/thrust feels just like diesel inboards. 50 Gals Water in 1 Tank (set up for water maker). Living area with full berth and galley can be closed off from rest of boat so interior fit out can be completely while living aboard if necessary. Work has me too busy to be able to complete the interior and rig as planned.After 25 years on the water, much of it spent living aboard and cruising, I’m also growing less interested in boats in general and would like a smaller boat to use as a weekender, instead of a full time live aboard global cruiser. 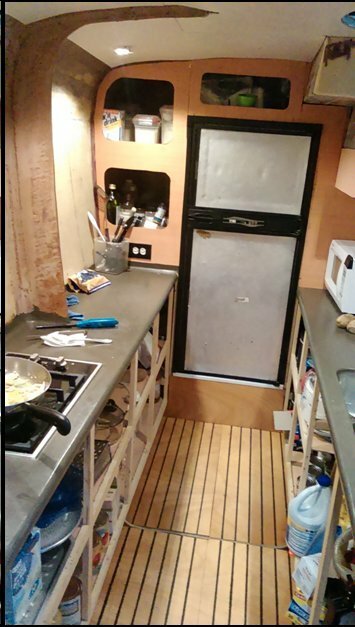 The interior needs to be finished and a rig added to realize her full potential (20 knots under sail in a world cruising catamaran).